NFL Protesters, How We Can Actually Help Inner City Violence? NFL Protesters, Here Is How We Can Actually Help Inner City Violence: The flag does not defend people that do bad things, the flag represents something greater than that. Tune in now to learn about black heroes who defended the flag with their life, studies showing shocking statistics about inner city violence, and where the nation is on NFL players taking a kneel during the National Anthem. School In America Today Versus School In The Founding Era: It's Foundations of Freedom Thursday, a special day of the week where we get to answer questions from you, the listeners! Always answering your questions from constitutional principles! Tune in today as we answer your questions such as, how should we fix the education system, should we model after the founding era's education system, and how do you do that with so many students? All that and so much more, right here on WallBuilders Live! 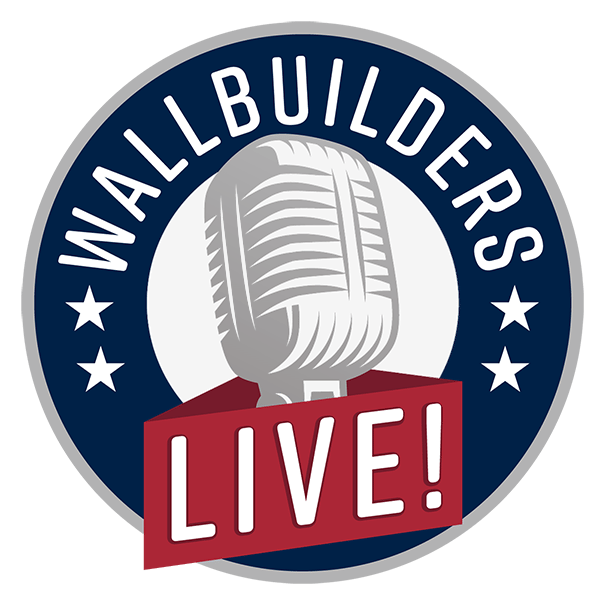 The Fourth Amendment, Celebrating The Anniversary Of The Bill Of Rights Part 3: On WallBuilders Live we are having a three-day series special in honor of the anniversary of the Bill of Rights! We will be sharing a portion from our one of a kind Constitution Alive courses. In these three days, you will learn all you need to know about the Second through the Tenth Amendment. Join David Barton and Rick Green, Constitutional experts and advocates for the original intent of our founding documents as they share with you the meaning and purpose of the Constitution! Second Amendment, Celebrating The Anniversary Of The Bill Of Rights Part 2: On WallBuilders Live we are having a three-day series special in honor of the anniversary of the Bill of Rights! We will be sharing a portion from our one of a kind Constitution Alive courses. In these three days, you will learn all you need to know about the Second through the Tenth Amendment. Join David Barton and Rick Green, Constitutional experts and advocates for the original intent of our founding documents as they share with you the meaning and purpose of the Constitution! The Laws Of Nature, Celebrating The Anniversary Of The Bill Of Rights Part 1: On WallBuilders Live we are having a three day series special in honor of the anniversary of the Bill of Rights! We will be sharing a portion from our one of a kind Constitution Alive course. In these three days you will learn all you need to know about the Second through the Tenth Amendment. Join David Barton and Rick Green, Constitutional experts and advocates for the original intent of our founding documents as they share with you the meaning and purpose of the Constitution! Congress Is Doing Better Than We Are Being Told -One Of The Most Productive In Three Decades, Good News Friday! Congress Is Doing Better Than We Are Being Told -One Of The Most Productive In Three Decades: Good News Friday today on WallBuilders Live! Tune in now to hear about just some of the good things that have been happening in our country recently. In this episode, we discuss things such as, the current Congress is one of the most productive in three decades, Federal Appeals Court rules county meetings may open with prayer, many pro-life wins for the nation, and so much more! Tune in or read now to find out more! Military, What Does The New Testament Say About War: It's Foundations of Freedom Thursday, a special day of the week where we get to answer questions from you, the listeners! Always answering your questions from constitutional principles! Tune in today as we answer your questions such as what does the Bible say about military engagement in the New Testament, is it our free market right to hike up prices when a crisis hits, and so much more, right here on WallBuilders Live! Family As Defined By The Bible, How America Has Shifted: In today's episode, we talk with Tim Goeglein who is one of the presidents of Focus on the Family. His message is so strong on families, and that is exactly what our culture needs to hear today. We hardly hear the media promoting marriage as defined by the Bible. Yet, statistics show that the Biblical form is the best and most beneficial form of union! Tune in or read now to learn more about the restoration of the family union in America! Captain Billings' Story, A World War II Veteran And B-24 Pilot: On this episode of WallBuilders Live we will be interviewing Captain Billings, a World War II Veteran and B-24 Pilot. We talk about his B-24 bomber missions, his undercover OSS missions, and many more of his amazing World War II stories. Read or tune in now to learn more! National Day of Prayer Is More Than Just A One Day Observance: On today's episode, we will be interviewing Ronnie Floyd, Senior Pastor of Cross Church in Northwest Arkansas. We will be discussing the National Day of Prayer and it's importance not just once a year but everyday. Learn more by tuning in or reading now!